Captain America: Civil War, hits theaters next week and excitement is at an all-time high due to the film’s positive reviews and the appearance of a certain wall crawler. While Iron Man and Captain America have significantly raised Marvel’s profile over the last eight years, Spider-Man is the crown jewel of their character collective. If Batman and Superman are the two most iconic superheroes of all-time, then Spidey is number three on that list. In comic book form, Civil War is a story with many layers because its engaging framework provides three different perspectives to choose from while conflicting the reader regardless of their chosen allegiance. Iron Man supports the government’s Superhero Registration Act, which legally forces anyone with superpowers to work as an officer of the law. Captain America opposes the legislation because superheroes don’t protect people at the behest of some politician. 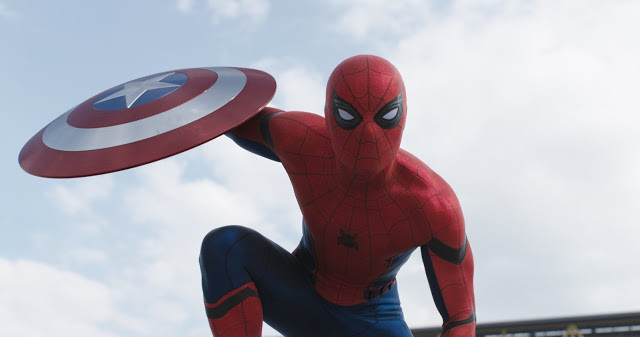 Spider-Man is ultimately stuck in the middle while working for both sides at one point. Tom Holland’s Spider-Man will most likely serve as a conduit for movie goers who will not pick a side or know which side to choose in this conflict. The debuting Black Panther, played by Chadwick Boseman, could also fit into that role, but the dilemma of choice in such a high stakes affair will resonate more with the web-slinger. Why? Because Spider-Man is Marvel’s identity as a company, which is why studio president Kevin Feige brokered a deal with Sony pictures to share the character in their upcoming slate of films. This will only mean more money for everyone involved. This does pose the question of how big of a role Spider-Man will actually have in Civil War. In the end, it doesn’t matter, as long as he has a potent effect on the narrative. Remember, this new Spidey is not only new to viewers, but he is also new to the MCU where he doesn’t have a respect and legendary standing as a hero, in contrast to the comics. Directors Anthony Russo and Joe Russo will have to find a way to balance all of these characters while making sure that they introduce the “newbie” without making it feeling like total fan service. Peter Parker will be reportedly fifteen years old in the film, which means he was seven years old when Tony Stark revealed his heroic identity to the world. Speaking of identity, the MCU has done away with secret identities, but how is that going to work for a superhero who can’t be late for third period chemistry? It’s an issue that can be glossed over this time around, but it’s something that will have to be addressed going forward. Despite all of the awesomeness that Marvel appears to have in store for us with Civil War, it is Captain America’s name appears on the marquee. It has to be his movie first and foremost, however, the right blend of youthful optimism from a character who lives by a certain creed of responsibility could very well be the key ingredient in making this the superhero epic of the ages.